After a long study, a Finnish defense analyst has found that the Russian-Belarusian Zapad 17 drills, which caused a considerable commotion across Scandinavia earlier this year, were in fact preparations against terrorism and had no aggressive undertones. The week-long Zapad 17 exercise held in September almost triggered a panic attack in Scandinavia, reinforcing unfounded fears of "Russian aggression." Across northern Europe, many leading dailies, including Finland's Helsingin Sanomat and Sweden's Aftonbladet and Svenska Dagbladet, conjured up a sinister picture, portraying the exercises as a sign of Moscow's preparations for a major confrontation with NATO forces. When the drills were over, however, there was hardly a word about them in Nordic media. Lieutenant Colonel Juhani Pihlajamaa, military analyst on Russia at Finland's National Defense University and former military attaché in Moscow, who worked on the comprehensive inquiry into Zapad 2017, ensured Finnish national broadcaster Yle the drill wasn't meant to be interpreted as a threat. Pihlajamaa underscored that Zapad 17 was "not anti-NATO," emphasizing the fact that all military drills, regardless of the country, always include elements of attack preparations. Not only did Zapad 17 differ from similar exercises in other countries, but was in fact far less aggressive than painted in the Nordic media, as it did not include tests of the Iskander missile system stationed in Kaliningrad, which Nordic media repeatedly use as a proof of Russia's aggressive intentions. According to Pihlajamaa, the main focus of the exercise was fighting terrorism, including foreign interference on Russian borders. The Finnish defense analyst also shed some light on the discrepancy around the number of troops involved. Before the start of the drill, Russian officials claimed that about 13,000 troops would take part in Zapad 2017, while NATO estimated that as many as 40,000 troops would be involved, a figure which some Nordic sources exaggerated to as many as 100,000. Pihlajamaa attributed the inconsistency to different ways of counting. 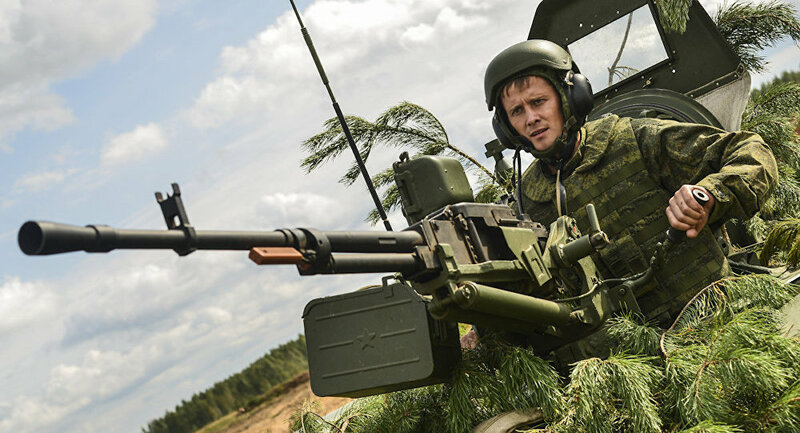 "Russia saw Zapad only as part of the continuous exercise routine conducted throughout the year within the Western military district," Pihlajamaa said. ​Earlier in November, General Jarmo Lindberg, Finnish Chief of Defense, voiced skepticism about the allegedly aggressive nature of Zapad 2017. Lindberg argued that there were no offensive elements to the drill, which he called "purely defensive." Zapad 2017, which was held between September 14 and September 20, featured troops from Russia and Belarus. The drill was held in northwestern Russia, Russia's Kaliningrad exclave and Belarus. Swedish security investigator Krister Bringéus, however, argued that Zapad's aim was to station Russian troops in Belarus on a permanent basis and possibly undermine the Suwalki rail corridor, which is the only land link between the Baltic States and the rest of NATO, Svenska Dagbladet reported. Roughly around the same time, Sweden held the Aurora 17 drill, the nation's largest in decades. The exercise featured troops from NATO countries and saw the first appearance of US tanks on Swedish soil.